Hey guys! How's life lately? And your hair? 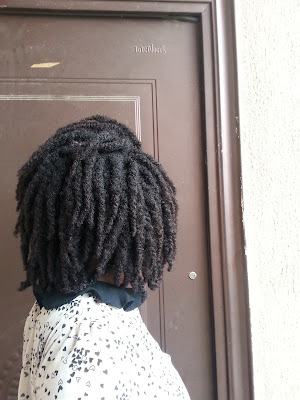 Mine is in a new style, loose twists. 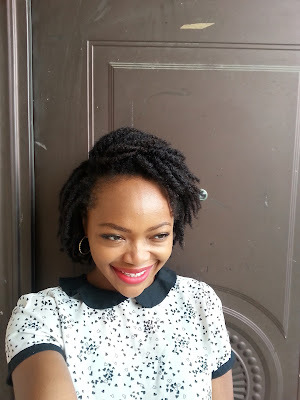 3-day old shrunken loose twists. 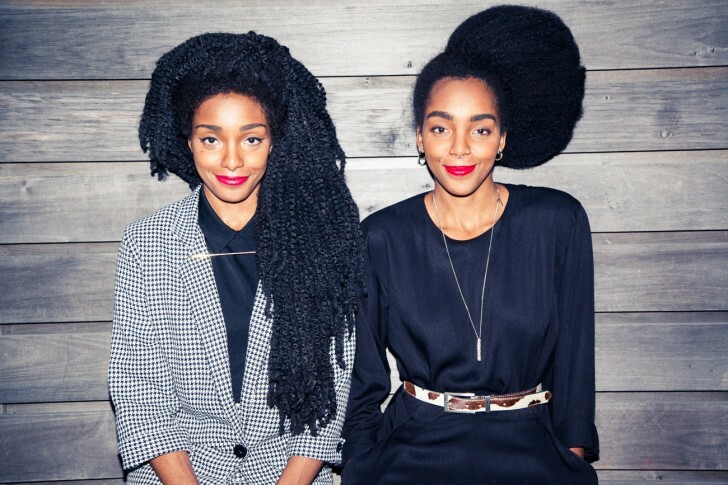 You might have seen the style on most famously, Cipriana Quann of Urban Bush Babes. She basically invented the thing. I had read a few of her interviews where she mentioned her hair was in twists, but they didn't look like any kind of twists I know. I didn't get it. But now, ha-haa! I do. As you would know if you follow me on Instagram (you don't?? Why? @naijagirlnextdoor. Go on, I'll wait). @flamellehair on Instagram posted her loose twists and in the comments she described how to do them. I wanted an even more deconstructed look so I didn't twist tightly at the roots, only at the very ends. I also made mine more loose ie if she made say, fifteen turns per length of a twist, I probably did ten (Just for example. It'll differ according to your length) so mine look less like two-strand twists than hers. 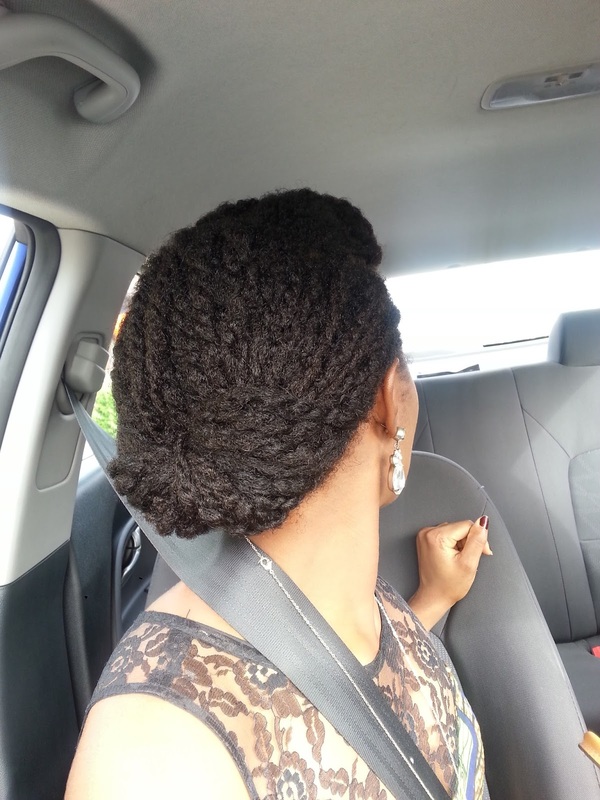 Low manipulation to install, much less than regular twists. Fast. Quick twist, bam, on to the next. It was my first time and even with my loosening and redoing, trying to get it just right for me, I was done in two hours. I'll challenge myself to one hour next time. Easy. Regular twists require some technique to get them neat. Neat is not the goal here. Looks like locs! Without the commitment. Gives the illusion of very thick hair. Like magic I tell ya. Can be styled like loose hair. They're more malleable than regular twists. My hair stays moisturised for longer. I was pleasantly surprised. Keeps my single strand knots at bay. Twists generally have the benefit of "united we stand". Strands just can't go solo and commit SSK suicide. All of this is good news for my ends so they'll stay healthy and length retention will follow. I'm feeling like I want to stick with this style and base my regimen on it. That may just be my initial excitement sha. I'll keep at it until I get restless. Even then, I'll take a break and go back. Loose twists shrink too so you gotta stretch at night. I tried putting them in tight braids but I didn't like the curled look in the morning, at all. I prefer big bantu knots to stretch so my hair can hang, making me look like I can play the guitar. #stereotypes. But ahmeanit, forget the smiley made up face in the pictures above. If you could see me at home, plain-faced and scantily-clad; wallahi you will buy my single. Like the style? Will you try it? In other news, there's something very interesting coming up really soon: an event with me and some of your other favourite bloggers, for a cause. One reader will get to be a big part of it. More info coming soon, you'll love it. Watch this space. I loooove the style!!! I'm so doing it. In fact I'm going to start stretching my hair right now. Threads can do the trick, yes? 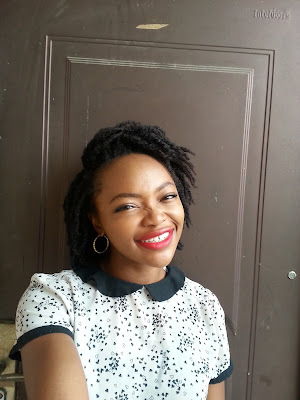 You can do it after stretching your hair any way- chunky twists, bantu knots, blow drying and yeah threading definitely. The style looks great! The event sounds interesting. Looking forward to hear more about it. I love them. 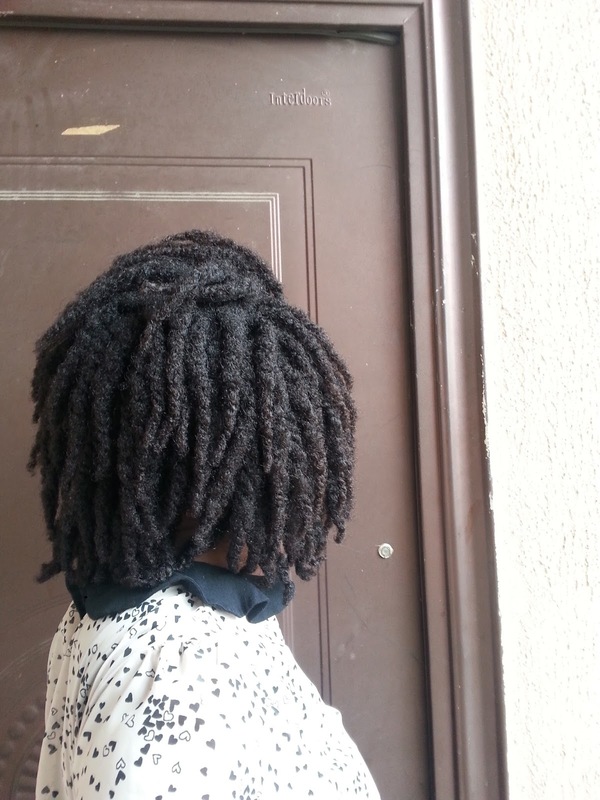 Mine look like that after 3 days, I must try the loose twists. They just shrink with no respect don't they? I love love love this look on you! No need to search anymore for "your" style because THIS IS IT!!! Oh and that line "Strands just can't go solo and commit SSK suicide." With lyrics like that----girl I'll definitely buy your single when it drops. LOLOLOL!! Yay my first supporter, lmbo! They ain't ready for this. You're so right, I think I've found the soulmate to my hair. I know my hair is still trying to get long, but shrinkage wont let a girl be, I definitely will try this loose twist. As for the event, I cant wait! I am anticipating it. Shrinkage just has no regard mm? Your hair is intimidating though, so big and lush. I can't wait to share the deets too! Awww Uju, see why I love you? I'll share the deets real soon. Shrinkage just has no regard mm? I love your hair though, it's big and lush.